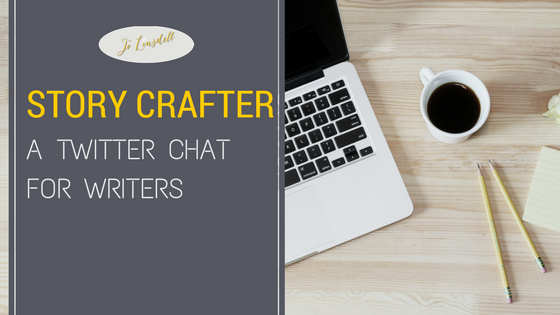 As I mentioned in yesterdays post, one of my favourite Twitter chats to take part in is Story Crafter hosted by Faye Kirwin from @Writerology. You can find detailed information about the chat and how it works at https://www.writerology.net/admin/resources/the-writerologists-guide-to-twitter-writerology.pdf. If you're interested in using Twitter and taking part in twitter chats make sure you grab a copy of the file. The hashtag for the chat is #StoryCrafter and it starts at 8pm GMT on Sundays. Follow @Writerology and you'll see tweets like this one below to remind you about upcoming chats. Q1. What’s the weirdest thing you’ve ever researched for a story? Q3. What’s the most random research tangent you’ve ever gone off on? Q4a. What’s the most eyebrow raising/incriminating thing you’ve researched (or might research) for a crime or thriller novel? Q4b. Okay, what’s the most outlandish/alarming thing you’ve researched (or might research) for a fantasy or sci-fi novel? Q4c. What’s the whackiest/weirdest thing you’ve researched (or might research) for a romance/contemporary novel? Q5. Let’s have some funny Google auto-completes! Start asking Google a research question for your WIP and share what it says! Do you take part in Twitter chats? Which are your favourites? Are you a Story Crafter regular too? Share below. Want to know more about using Twitter? 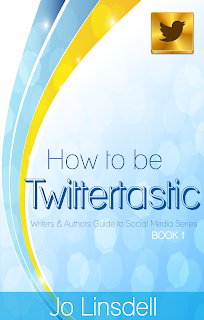 Check out my book How to be Twittertastic.